you will walk an average of 4 miles! It’s important that you choose the right soles that are comfortable. You may even want to get a pair that are just a little bigger than your normal pair (depending on fit). You are going to be on your feet for awhile… walking. So making sure your feet are comfortable should be a priority. Another must is that your golf shoes should have spikes. Once you play a game in wet weather, or very early in the morning with due covering the ground, you will never wear a pair of shoes without spikes. Also, spikes provide a much firmer hold than pebble-soled or ribbed shoes. Don’t forget about the wet weather. If you’re one of those brave golfers that don’t mind a bit of wet weather… and the fact that you’re holding a lightening rod out on the course, you may want to invest in some rain boots. I didn’t even know that they do make boots for golf. But sure enough, there are rain boots with spikes and a drawstring to keep the rain out of them. So treat the things that allow you to chase that ball for 4 miles well. I can give you the best goods and the reasonable price. If you need I promise I can send to you in 24 hours ,and I can give you the best service as you want. We have set up credit relationship with customers from home and abroad, and we can chat by MSN in detail. If you like ,please tell me. Hi – I stumbled on this oage by mistake. I was looking in Google for Accounting software that I had already purchased when I found your site, I have to say your website is pretty cool I just love the theme, its amazing!. I don’t have the time at the moment to fully read your entire site but I have bookmarked it and also will sign up for your RSS feeds. I’ll back around in a day or two. Thanks again for a awesome site. Very nice article. I’m finding out more about playing the game of golf from your website, then I’ve ever did from even my own golf teacher. Hope it’s ok that I share this post on Facebook? Well done, on writing a post that’s an interesting read. I stumbled across it on Bing and have spent the last 10 minutes reading and nodding my head! 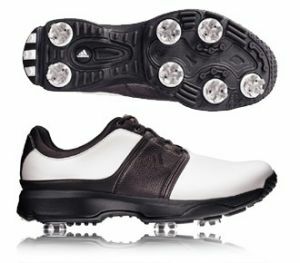 Golf shoes are often overlooked in terms of equipment important for the sport but they really shouldn’t be.